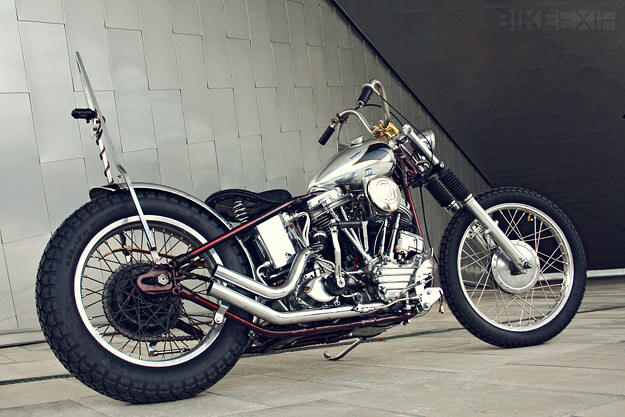 James Roper-Caldbeck builds some of the cleanest vintage Harleys in the business. Working from a small workshop in Copenhagen, Denmark, he focuses on quality rather than quantity. 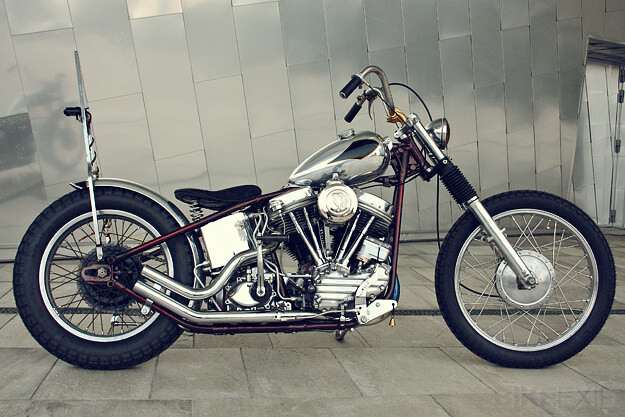 But the most surprising thing about this machine—crafted around a 1964 FLH panhead motor—is that it was built in five weeks. According to James, “The bike was just sat in the corner, made up of parts from the shelves, or parts left over from past builds. 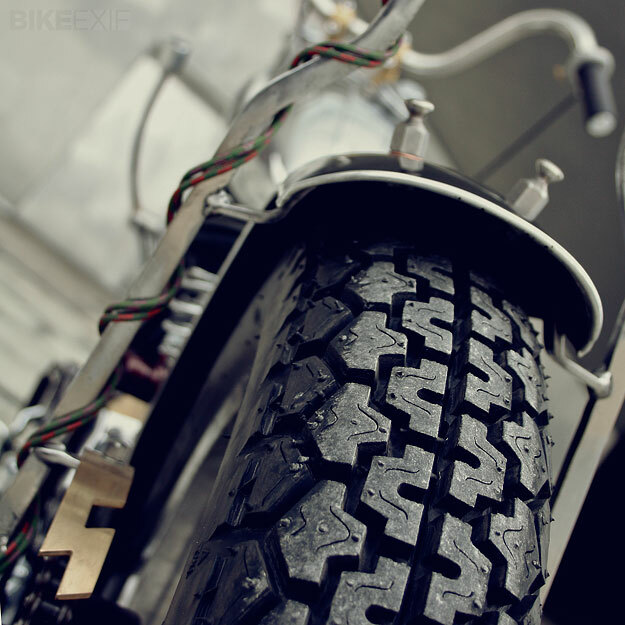 It had a cheap knuckle/pan frame, an old Sportster front end, rusty 21” and 19” rims and bent bars. 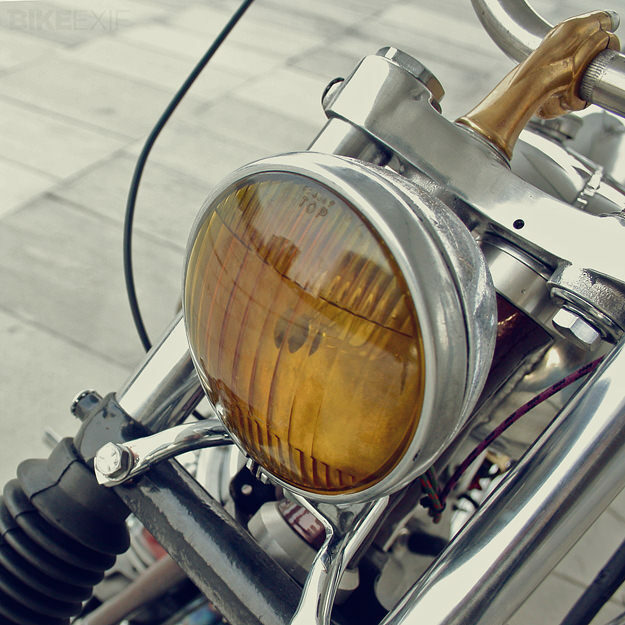 You get the picture.” The picture doesn’t sound promising, but in January, two things spurred James into action: he decided he wanted to show two bikes at the Mooneyes Sweden show, and he became obsessed with aluminum. 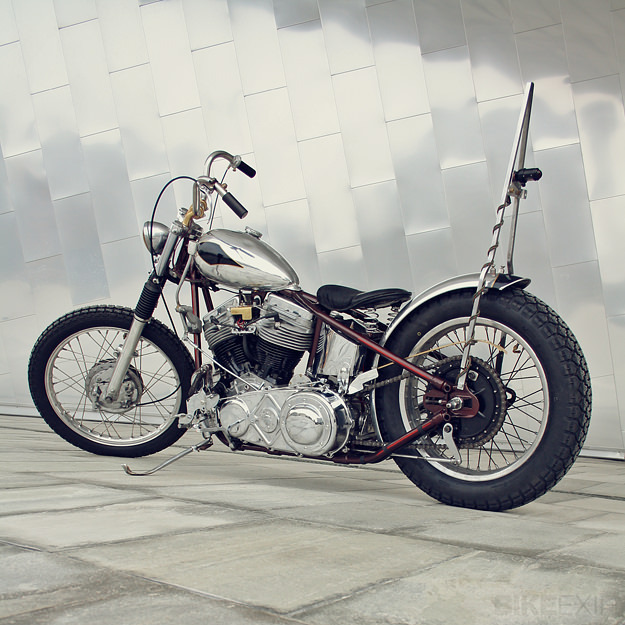 Although James had just five weeks to put the panhead together for the show, the good news was that he had virtually all the materials he needed—as well as his renowned talent for fabrication and custom building. The first week was spent doing a complete rough build. In the second week, all the fabrication was completed (including the seat and pegs), parts were chromed, and the frame was sent out for paint. In the third week, James rebuilt the engine, transmission and forks. In the fourth week he cleaned, painted and polished all the other parts. 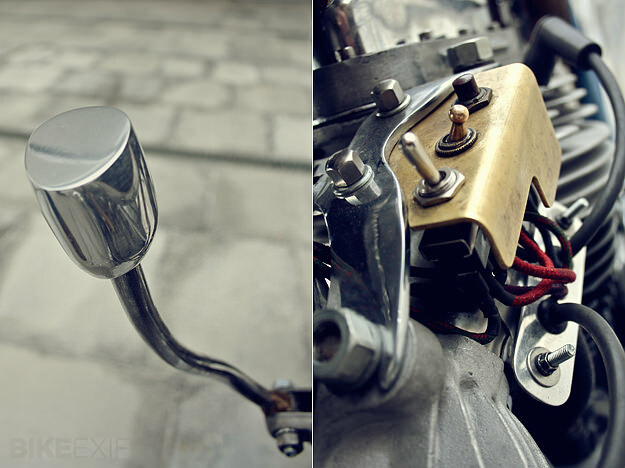 And in the fifth week he put the panhead back together and wired it up. Head over to the Customs From Jamesville site to see more of James’ builds. We’ve got four available for viewing via our Archives too.